Spacious 2 story close to Kinnick Stadium & UIHC!! 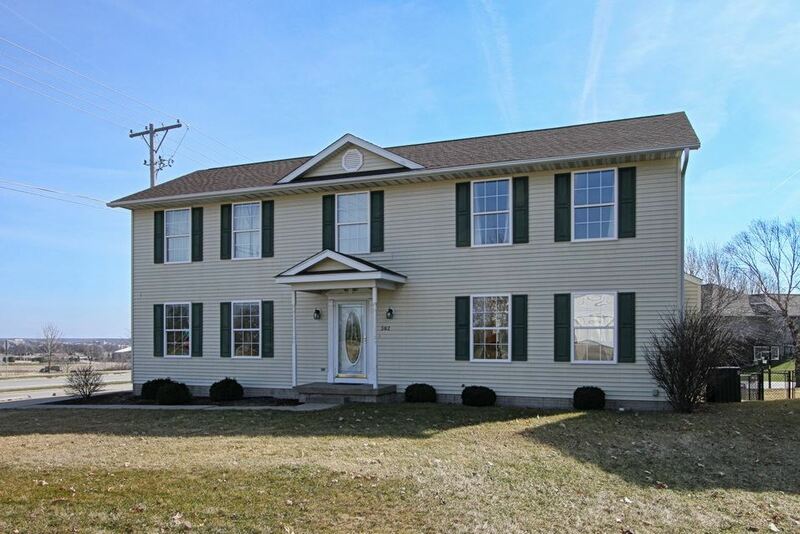 Huge master BR w/ walk in closet (7 x 10) & master suite. Neutral dÃ©cor w/ many possibilities to make this home your own! Attractive fenced yard w/ blaze maple tree off the east facing deck, perfect for morning coffee. Well maintained w/ newer roof, furnace, & AC. Lower level offers family room, 1/2 bath, ample storage & office or BR #5(without a closet currently - storage just around the corner) ALL kitchen appliances & W/D stay, + garage shelving.